New, practical paperback edition of the landmark design manifesto from the UK's favourite design guru. In this inspirational yet also practical paperback Kevin explores all areas of domestic living, from materialism to sustainability, craftsmanship to comfort. 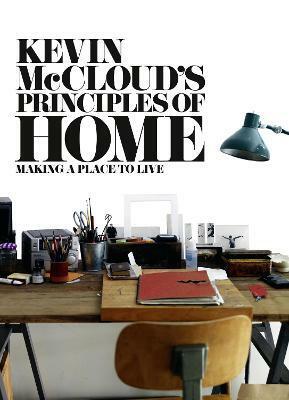 Kevin's beautifully written text brings insight and understanding to enjoying life in the 21st century, but crucially he offers detailed, helpful and incisive advice on design, construction and style. Kevin addresses very real and solvable domestic issues: What is the perfect kitchen layout? How to create a feeling of space in traditionally sized rooms? How to create an extension that works? How best to choose colour for function? What to use for insulation? How to shop for second hand? And how best to manage home waste and recycling? An inspiring but always usable book from the foremost voice in modern architectural design. Kevin McCloud is best known as presenter of Channel 4's BAFTA-nominated `Grand Designs', now in its tenth series. He writes books and articles about decoration, design, lighting and colour, and is editor-at-large of Grand Designs magazine. In addition, Kevin is a product and lighting designer and has produced ranges of furniture, lighting and tableware for high street names.